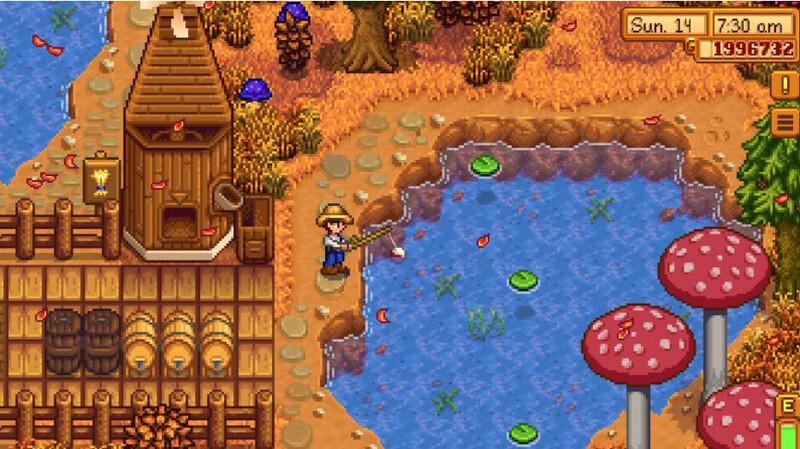 Stardew Valley, the award-winning farming RPG, is making the jump to mobile. Publisher Chucklefish has just announced that Android and iOS users will be able to play their game starting this month. Well, at least iOS users will since the Android version of the game isn't finished yet. Stardew Valley will be released in the App Store on October 24. The game will cost £7.99 / $7.99 / €8,99 and will not feature any in-app purchases. Moreover, Stardew Valley supports both iPhone and iPads, but it only includes single player content, so there will be no multiplayer mode. On the bright side, developers announced that PC players will be able to transfer their save data to the iOS version via iTunes (make sure to back up your save first though). Keep in mind that since mods are not supported, any save data transferred containing mods may cause compatibility issues. If you've played the PC version, you'll be happy to know that this isn't a cut-down version of Stardew Valley especially designed for mobile devices, but the full game. The only difference is that it's been redesigned for touchscreen gameplay. The folks over at The Secret Police, the studio taking care of the mobile port, are still working on finishing the Android version of Stardew Valley, so at this time we can't say for sure when it's going to be released. This will be the only app that I have ever paid for on Android. If you do not know the story behind this game, go read Blood Sweat and Pixels. It goes in depth about the creator of this game and how he made it. I still can't believe one guy designed this whole game. I was planning on buying it when I eventually got a switch, but this is much more convenient. This will be my 200+ app on Android I have ever paid ... I really am clueless when it comes to mentality "I buy a phone that costs 1000$ or even more, but I am not gonna spend 1-10$ on a decent mobile app / game". This is exactly the reason devs prioritize iOS over Android. That's why we wait months for app/game releases, if they even come out. Hell even Google updates their own apps for iOS before Android.